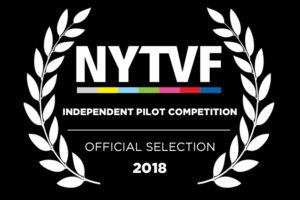 Robits is an official selection of the NYTVF! 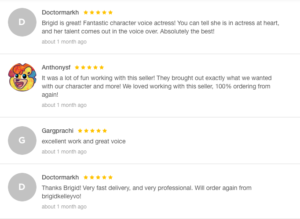 Praise from Voice Over Clients! Jennfer Haley’s timely and clever play, set in suburbia, takes on links between gaming and violence. Director Wade A. Vaughn gives the play a stronger production than it probably deserves. With the aid of scenic designer Sadie Ward and prop designer Amy Bouthilette (emulating the nostalgic style of old-school games with stylized, 8-bit props), he draws the audience into the videogame world. He paces the show with enough energy to give it edge- of-your-seat excitement. Vaughn’s success as an actor clearly gives him the experience to draw strong performances out of his cast: Brigid Kelley (as the four daughters), Ian Udulutch (as the four sons), Brian Columbus (as the four fathers) and Mame Pelletier (as the four mothers)…. “You’ve seen ‘em at Rarig. You’ve seen ‘em at HUGE. You’ve seen ‘em all over at Fringe Central. It’s now time to get it out in the open, people…this year’s Frot List (frot = Fringe + hot). And don’t forget to check out the Fringerati’s #frotties on Twitter. Let’s do this!